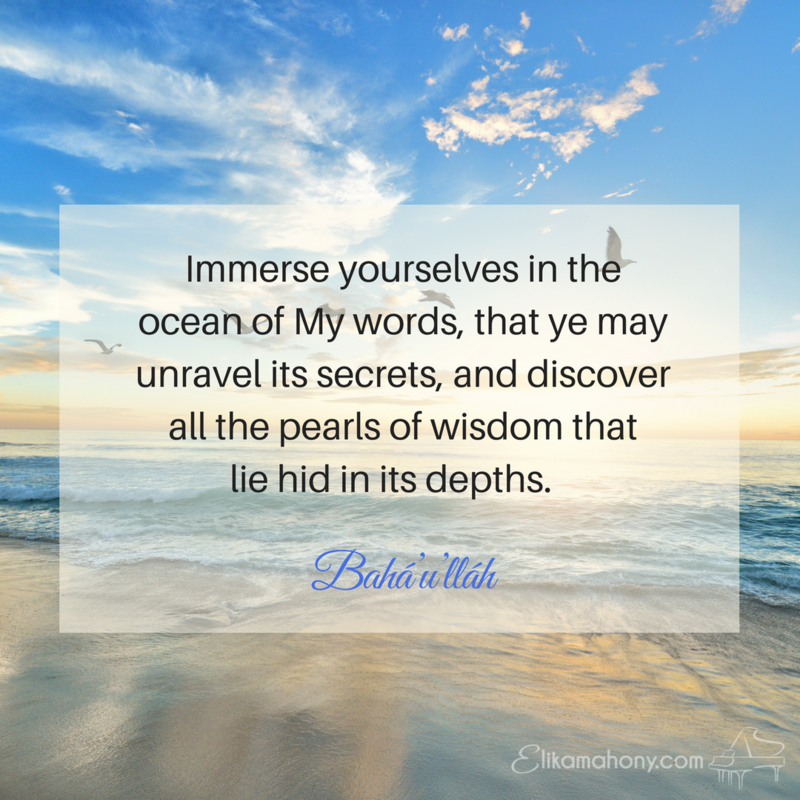 Home » Baha'i » Immerse Yourselves – NEW video! Immerse Yourselves – NEW video! In the spring, I was asked to sing for our Bahá’í New Year celebration. I decided to choose a song titled ‘Immerse yourselves’ from my ‘Infinite Bounty’ album which was released exactly 3 years ago. Since this is my daughter’s last year of high school, I chose to sing the song as a duet. Every opportunity to sing with her while she’s with us is priceless! Once we chose the piece, I set out to make a visual slideshow of beautiful oceanic photographs to accompany us in the background as we sang. I believe there is a great power when music and imagery is combined and hope this creates a moving experience for the viewer. You can watch the video below — feel free to share it with others. ‘Immerse Yourselves’ is the first gift download (of 3 songs) on my mailing list. Click here to join to receive your music gift downloads including ‘Immerse Yourselves’. For my friends in China – click here to watch the video on Youku.